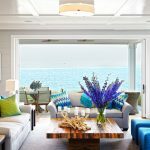 This fabulous waterfront home in Westerly, Rhode Island designed by Jennifer Palumbo is giving me all the summertime vibes! (Which is always appreciated at the end of November!) 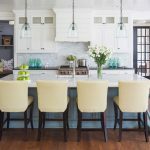 The Boston-based interior designer worked with architect Lyman Goff on the Shingle-style home, giving it a cottage feel with a modern and bold aesthetic. 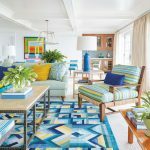 The coastal family retreat, photographed by Tria Giovan for New England Home Magazine, is filled with summery citrus colors paired with vibrant blues, and loads of charm throughout! 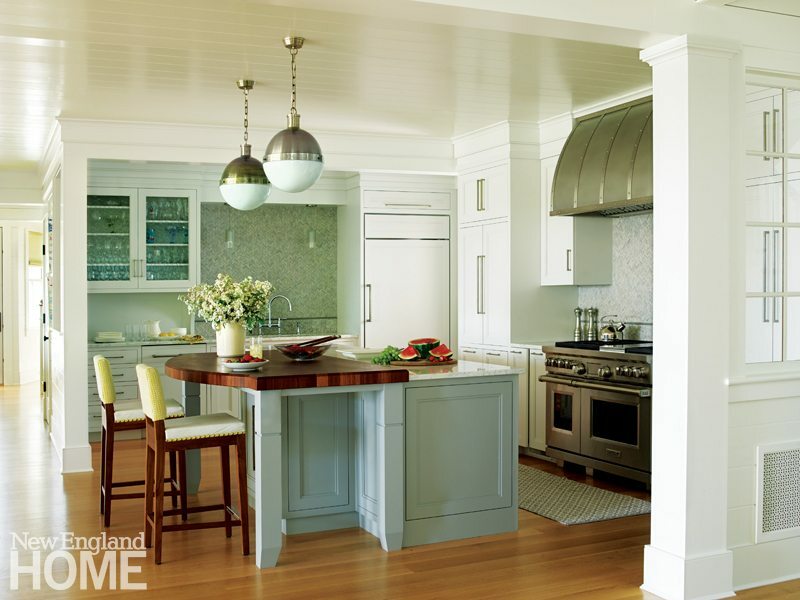 The designer worked with Donna Venegas of Boston-based Venegas and Company on this incredible kitchen. LOVE the island! Notice that adorable little nook under the stairs?? My favorite thing in the entire home! 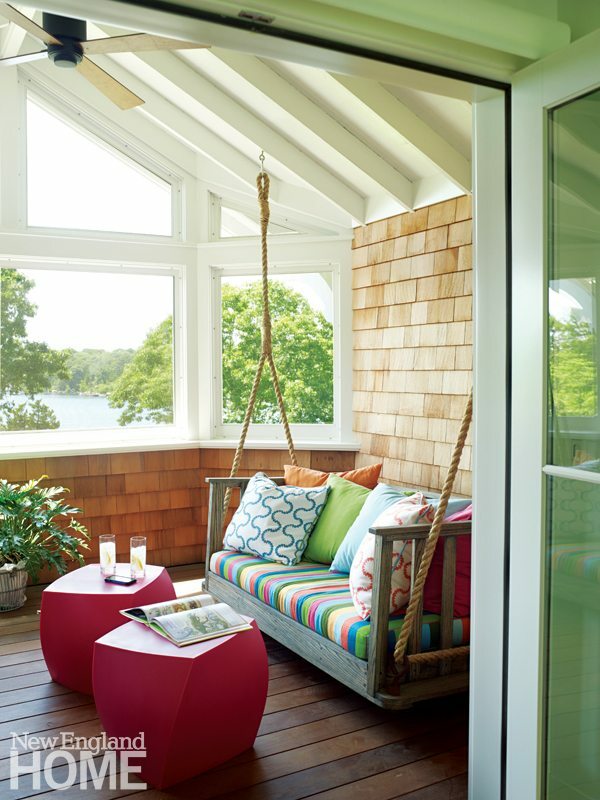 This third floor screened porch is the epitome of relaxation! What a view! 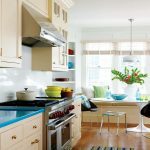 See more photos and read the article all about this summery abode over at New England Home Magazine. 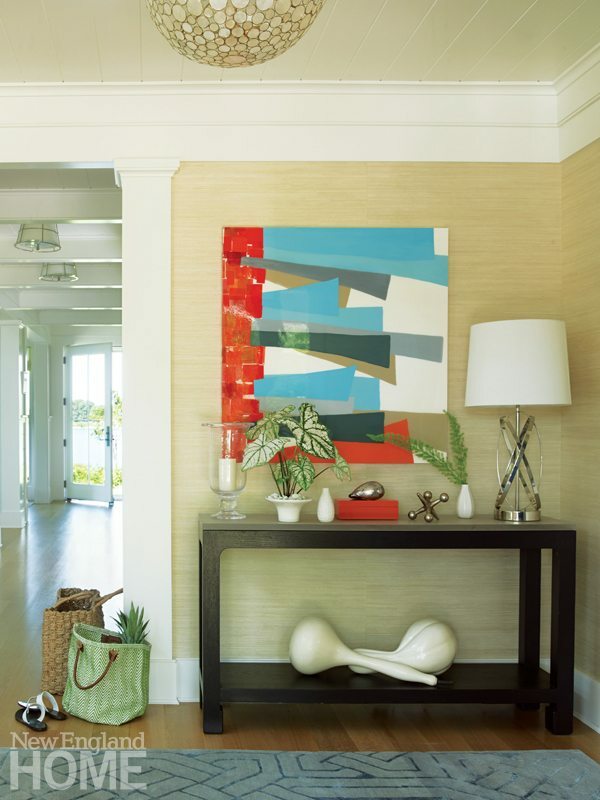 And for more beautiful projects by Jennifer Palumbo, head here next! 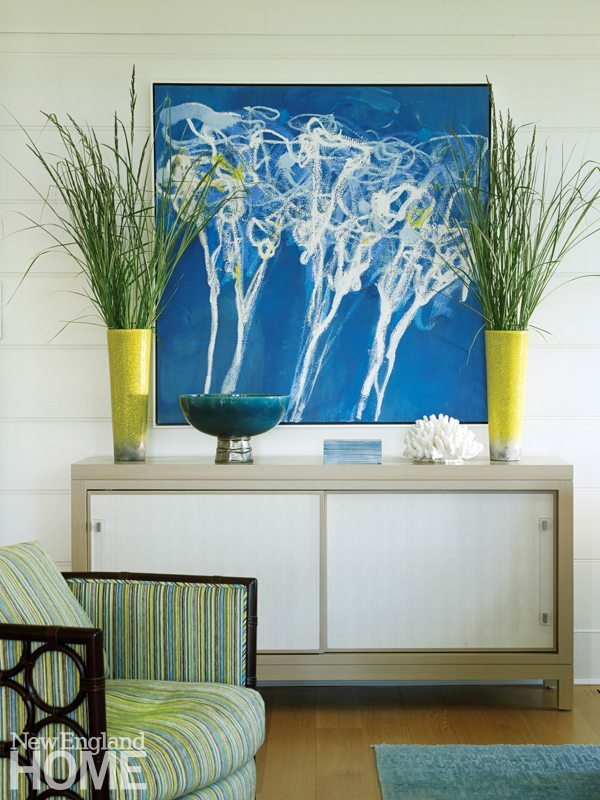 For another colorful New England vacation home I’ve shared designed by Jennifer Palumbo, go here! 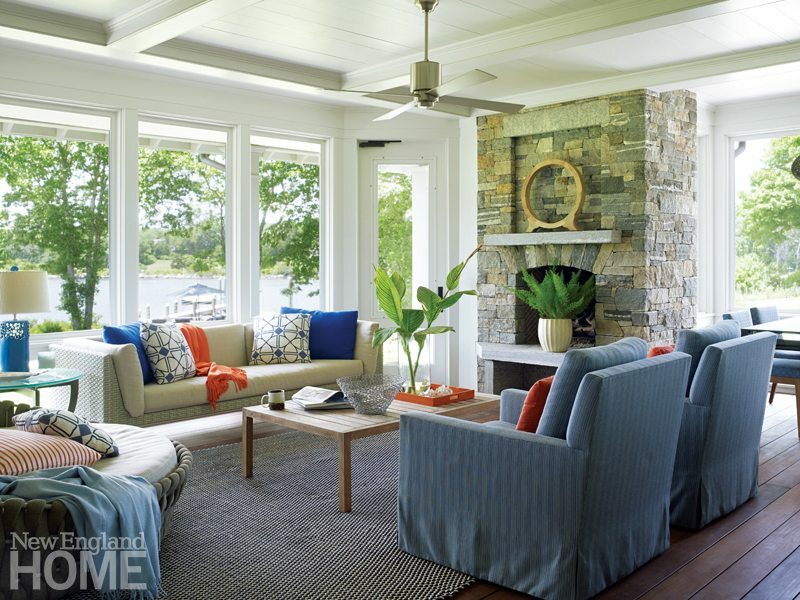 The stone fireplace looks so gorgeous! I love the design, feel so fresh and peaceful. Thank you for sharing!